Qin et al. (2015) describe their successful efforts to use electroporation technology to introduce CRISPR/Cas9 system components into mouse embryos and while not exactly insect biology their motivations for pursuing this approach are shared by many insect biologists with an interest in genome modification technologies. 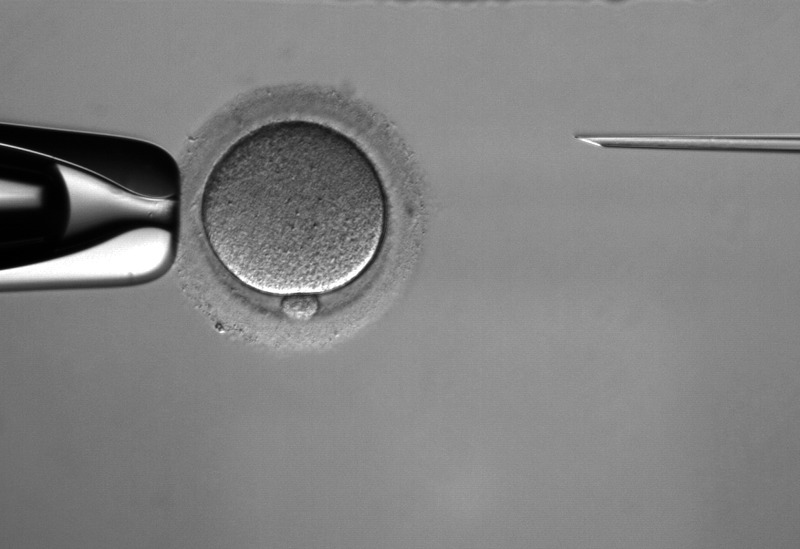 Microinjection, invented in the early 1980s, has been the technology of choice to deliver exogenous genetic material into mouse zygotes for the generation of genetically modified mouse models. Although effective, it is technically demanding and low in throughput. In addition, it requires significant investment in equipment and operators with years of training and experience. As such, the capacity for generating genetically modified mice is often limiting, even for the most well-funded laboratories. Again, the authors are referring to the production of transgenic mice but insect biologists could say about the same thing. The zona pellucida, the glycoprotein layer around the oocyte is a barrier that prevents using electroporation to deliver DNA and RNA to the zygote. Weakening of the zona pellucida with an acidic salt solution (Tyrode’s solution, pH 2.5) by briefly exposing the zygotes for 10 seconds was enough to allow for electroporation without affecting development. Qin et al. electroporated Cas9mRNA, sgRNA and donor oligonucleotides needed for knock-ins. Concentrations of Cas9 mRNA were from 200-600 ng/ul and the concentration of the guide RNA ranged from 100-300 ng/ul. Higher concentrations yielded higher success. Overall they were able to get mutant mice in 5 out of 10 experiments which is comparable to what they obtained from microinjections. Their efforts generally involved about 30 zygotes. Their efforts to create knock-ins were also successful. There are a couple of aspects of this work that could be of interest to insect biologists. First, the authors were able to solve their electroporation problem by altering the zona pellucida ever so slightly. While there has been some reported success in using electroporation to deliver DNA to insect embryos, protocols that allow its routine use do not exist. Since delivery of these various genome modification technologies to insect germ cells relies exclusively on microinjection it is clear that this will severe limit what species can be manipulated and by whom. Second, electroporating RNAs directly was feasible in this case. So while the system under study in this paper is not an insect, the paper is worth a look by those thinking about using CRISPR/Cas9 in insects and perhaps some will get inspired to solve the analogous problem in insects.